This is the last element of the one and only formula to increase online sales for your travel website. Increasing the average order value by mastering upselling and cross-selling is the final and ultimate puzzle in this formula. Combine successful upselling and cross-selling with the other two elements of the formula, and you will increase your online sales exponentially. In PART #1 – Customer Acquisition, we learned how to increase the number of visitors to your travel website. Then, in PART #2 – Conversion Rate Optimization, we learned how to convert visitors into customers. In this blog post you will learn how to get more value out of your customers by increasing the average order value (AOV). First, you will understand the full potential of upselling and cross-selling with the “60 x 60” rule of upselling and how this rule applies to the travel industry. Furthermore, you will see how you can increase your online sales and average order value by using the five-step framework for upselling and cross-selling. Before you start thinking about your upselling and cross-selling strategy, think about the key elements for successful conversion. The secret to converting visitors into customers is building trust and reducing friction. Once you’ve established trust and your potential customers are ready to buy from you, you can suggest more products or product upgrades. In classic retail, most of the upselling and cross-selling happens before checkout, while people have their wallets open. The best retailers are masters of upselling and increasing the average order value. Customers will buy an upsell 60% of the time for 60% of the original price. This underlines the huge opportunity upselling presents for increasing your average order value. If you’ve ever bought an Apple MacBook, you know how good Apple is at offering additional products (mouse, monitor, keyboard, etc. ), both online and in the store. McDonalds and Dollar Shave Club are two other great examples, you can read more in this great article about upselling. Because of the length of time from purchase to actual booking (for your leisure travelers, it can be more than 30 or even 60 days), the travel industry has huge upselling and cross-selling potential. This waiting period gives you additional opportunities for post-purchase upselling and cross-selling. 61% of customers are open to buying add-ons to complement their flight purchase. 48% for airline travelers, 59% for hotel and 61% for rent-a-car. If you take full advantage of the “60 x 60” rule, you could generate 36% of your total revenue through upselling or cross-selling. This is actually exactly what the best low-cost airlines do. According to this IdeaWorksCompany report ancillary revenue represents from 30% to 40% of total revenue for the best budget airlines. NOTE: If you want to learn more about airline ancillary revenue check our special Ancillary Revenue section with Airline Survey and Ancillary Framework. So, now that you understand the potential of upselling and cross-selling, let’s see how you can master it in practice. Before we go into the details of upselling and cross-selling, let me be clear about one thing: the crucial part of increasing the average order value is proper pricing of your products and offers. In the past, travel offers used to be simple. Your offer was the best fare for an airline ticket, a price for a hotel room, etc. Today, your offer can be comprised of a number of various elements, including a flight seat or a hotel room, product bundles (like branded fares), à-la-carte items and even third party ancillaries. This means that the job of your revenue management team is much more complex, as they need to consider many different variables. However, if you master upselling and cross-selling it will give you more options and flexibility. Once you become successful at upselling and cross-selling, you will give your revenue management and pricing departments another tool in their tool belt. The most important step in mastering upselling and cross-selling is to change your mindset. If you aren’t already thinking like a retailer, you should start now. Low-cost carrier (LCC) airlines disrupted the travel industry when they “unbundled” the air seat product and started selling everything else as an add-on. For them, having the retail mindset and mastering upselling and cross-selling is the crucial element in this model. We want to become the Amazon.com of travel in Europe, with a whole load of additional services: price comparison, cut-rate hotels, discounted football tickets, concert tickets. Of course, you don’t need to go that far, but if you want to measure up in the competitive travel market, you need to adopt a retail mindset. Unbundling and an aggressive push towards ancillary revenue is a fact across the entire travel industry, be it airline, hotel, car rental or anything else. Remember, once you are really good at upselling and cross-selling it will allow you to be more competitive with your pricing. You can use unbundled prices as tactical marketing prices and then cover the difference with effective upselling and cross-selling. 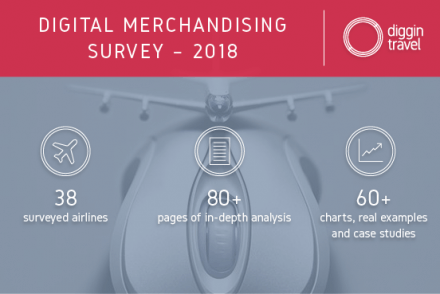 If you are an airline marketer, the Amadeus report called “Thinking like a retailer” is a good overview of merchandising. Additionally, the IdeaWorksCompany provides regular analyses and benchmarks on ancillary revenue for the airline business. The EyeforTravel report will provide you with an overview for the hotel ancillary revenue landscape. You can also read how hoteliers with a merchandising mindset can use ancillary products to build customer loyalty and direct distribution here. Cognizant’s report “The ‘Retailification’ of the Car Rental Industry” offers a similar view, which is highly relevant if you are in the car rental business. By now, you’re thinking as a retailer and you understand that upselling and cross-selling are key to increasing the average order value. Offer the right product to the right customer at the right time. You can even extend the three elements and add the right distribution channel or the right message, but first focus on getting the three core elements right. This is the most important part, and this is where you should start. If you want to be good at upselling and cross-selling, you can’t offer the same à-la-carte or other additional products and services to all of your customers. 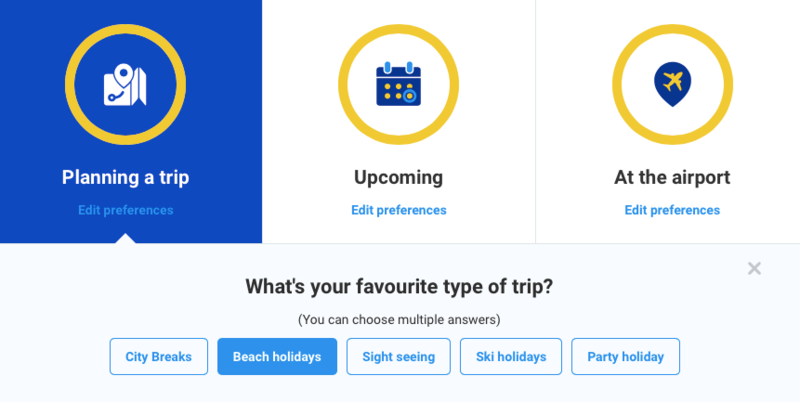 Personalization has been the travel industry’s “buzzword” for the last couple of years; however, for most travel businesses, true personalization is probably not realistic. Nevertheless, it should be your end goal, and you can take a step-by-step approach towards it. You can see how Ryanair is doing the customer segmentation within their myRyanair profile. Next, based on segmentation and customer preferences, you can offer relevant products to your customers. For example, if you are an airline, focus on offering extra bags and car rental for the leisure segment with long trip duration. For a businessperson traveling in economy on a one-day trip with a connecting flight, focus on priority boarding, a business lounge and a transport service cross-sell. Once you have your customer personas set, you can define what kind of services and products you will offer them and at what time. You need to understand your customer’s journey and identify key touchpoints for upselling and cross-selling. Next, match key touchpoints and customer journey phases and map the services that are relevant in a certain phase. Below you can see two such examples for the product / time mapping, one for airlines and one for hotels. Eventually you should create this kind of map for each of your key customer segments. You can offer upsells and cross-sells either at the time of purchase or after the purchase is complete. Keep in mind that you need to be very careful with upselling and cross-selling during the purchasing (booking) process. At that point the transaction is not yet completed, so you need to avoid creating unnecessary friction with upselling and cross-selling. It’s common retailer sense: sell too hard and you’ll lose the customer. But that doesn’t mean you shouldn’t try to increase the value of your booking; it only means you should know what to offer at a sensible time. 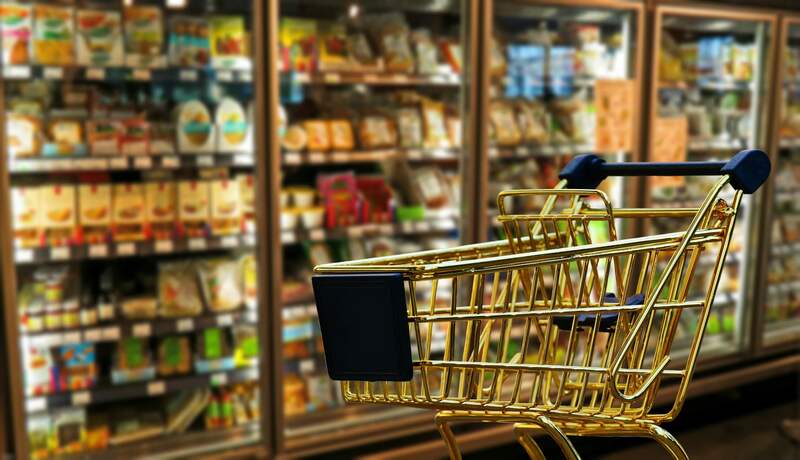 During the purchase, your primary upsell focus should be on the upselling of your product bundles, or à la carte products directly connected to the basic product. Examples of such products are paid bags for airlines, room upgrades for hotels or insurance for a rent-a-car. Once you have unbundled your product and created paid à la carte products, you should consider re-bundling to offer a choice to your customers motivated by something other than the lowest price. Your product upsells could be cabin classes or branded fares for airlines, better rooms for hotels, or better car class or protection coverage for car rentals. Ideally, you can create value-added bundles with the different features. According to the Amadeus report, airline passengers showed the highest interest for true value-added bundles, compared to other options like à-la-carte services, subscriptions and fare families. The key word is value: customers need to see value in your product bundles. Major US airlines (American Airlines, Delta, United) all divided economy class and created Branded fares recently. They use low fares to attract customers to their website and to compete with their low cost competition. 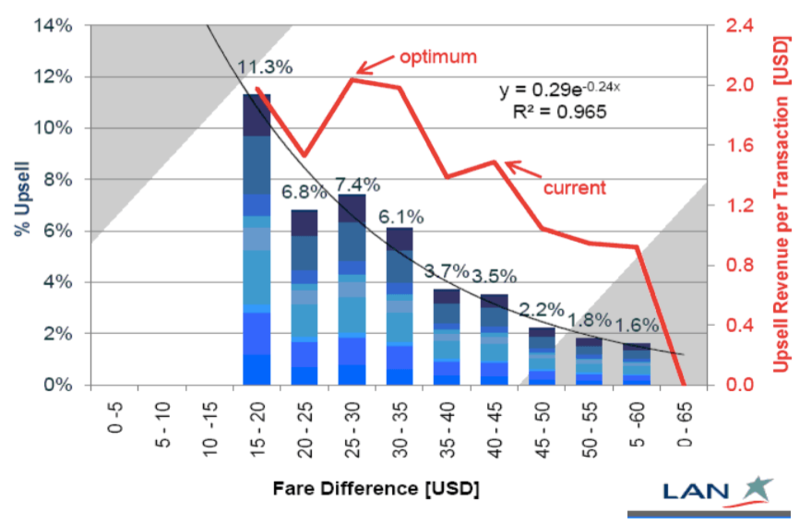 However upselling is crucial and American Airlines claims that about 50% of the customers who are offered basic economy opt for regular economy in the end. Make sure your customers understand the bundles and are confident that they are the one making the choice. Be clear about the value of the bundle and make sure the value is real. It must be clear to your customer that each item separately costs the same or more than if bought together. Use the lowest prices for basic bundles as tactical market prices for user acquisition (in ads or metasearch displays). Once a user is on your website, you can upsell the higher yield products. 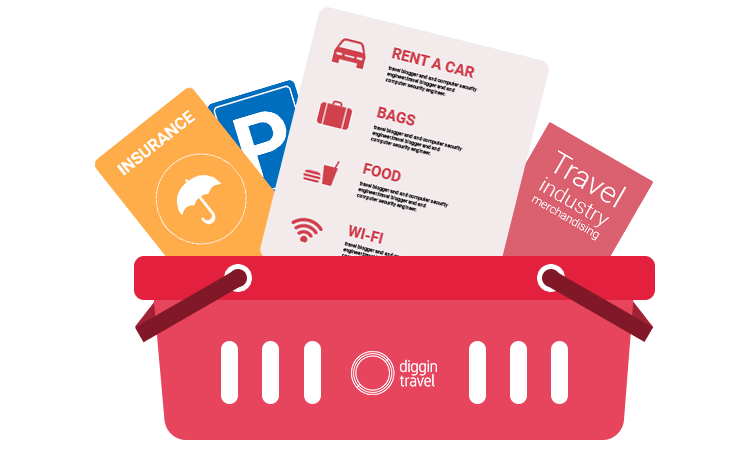 You can use this FREE Diggintravel Upsell Calculator to calculate your revenue per customer for product bundles or à-la-carte products based on the upsell value and upsell take rate percentage (%). This will help you determine how flexible you can be with the basic pricing, based on your per customer bundles and à-la-carte upsell values. Always measure your upsell take rates and test the best price difference between product bundles. If you don’t measure and test, you can’t improve your results. Below you can see one example of such measurement from LAN Airlines (now LATAM Airlines). Your upselling and cross-selling opportunities don’t end once your customer completes the booking. 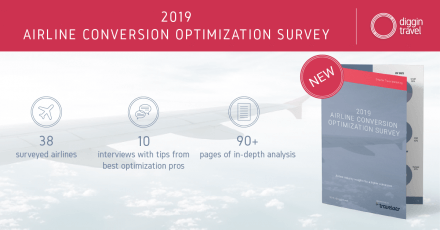 NOTE: Check out our special Airline Ancillary Post-Booking Framework PDF for post-booking upselling and cross-selling best practices. In the travel and hospitality industry, the majority of customers book their services more than three weeks in advance. This gives you the opportunity to offer them relevant services during this long period until their trip starts. Most travelers prefer to see ancillary services at the purchase phase; however, the interest is still there after the booking. If you understand this, you can use it to your advantage. Let’s look at the best options for post-purchase upselling and cross-selling. 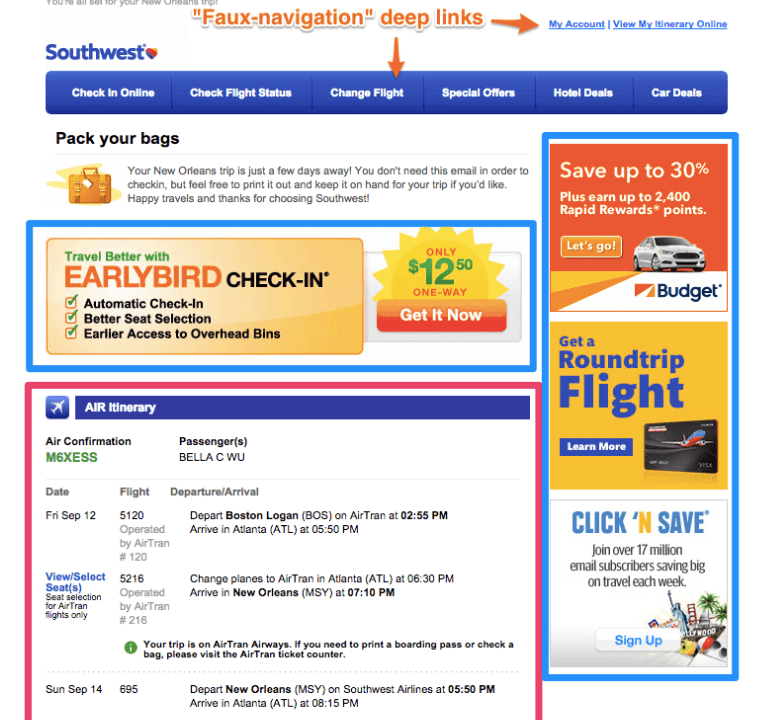 Your confirmation page and email might be the most overlooked customer touchpoint. Don’t make the mistake of many travel marketers that use generic, information-only templates. By doing that your confirmation page and emails are a dead end, and you don’t want that. Rather, your confirmation page and transactional emails should be organized as a next touchpoint in the customer lifecycle so that every touchpoint always leads to the next one. Use the confirmation page and email as an opportunity to continue the communication and upsell and cross-sell products and services. Those are the touchpoints where your customers are highly engaged. Need proof? According to an Experian report, confirmation emails have the highest open rates – up to five times higher than that of bulk promotional emails. The same Experian report states that on average, confirmation emails bring about 75 cents in revenue each. Compare this to your other marketing campaigns and think about the opportunity. What product or service could they buy next? Use segmentation and, if possible, a personalized product offering using recommendation engines for the best results. If you have loyalty programs or referral programs, show them to the customer at this stage and be clear about the benefits. Even if you have a great confirmation email, you should continue engaging with your customers during their customer journey. Email and advanced marketing automation platforms offer you a fantastic opportunity to continue communication with your customers. Go back to your key customer touchpoints (the product maps) and place your email communication strategically before those points. Use different mappings for key customer segments to offer relevant products to your customers. Transactional emails have 46% open rates compared to 17% for non-transactional emails. Think about the effort and resources you put into your promotional email marketing versus your transactional email marketing. You can learn how the best airlines use email marketing for upselling and cross-selling in this IdeaWorksCompany report. 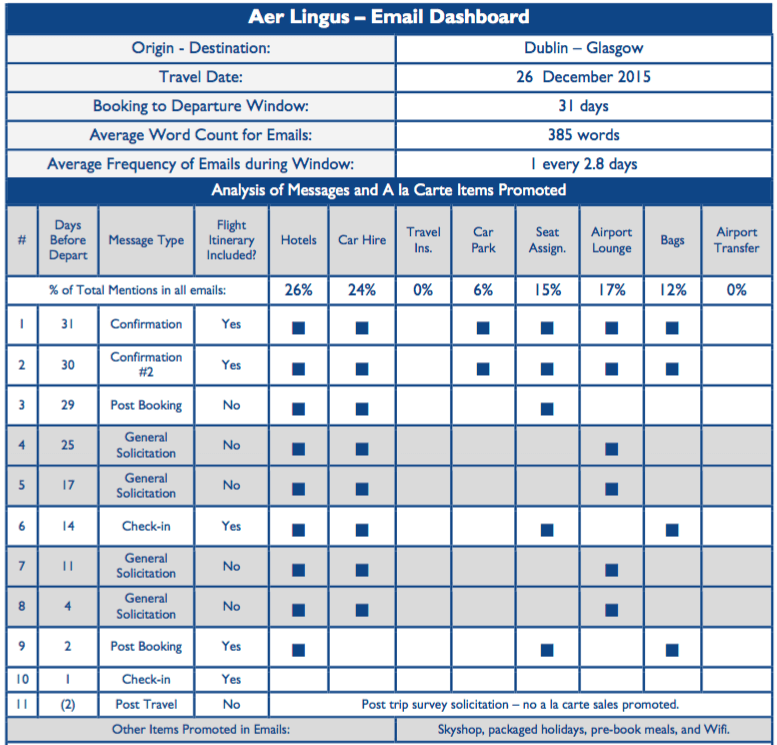 For example, Aer Lingus sent 11 transactional emails offering different à-la-carte products at different stages. Of course, you should adjust your transactional email strategy based on your business and your customers. 76% of travelers feel that a context-aware email could persuade them to make a purchase that they otherwise might not have considered. 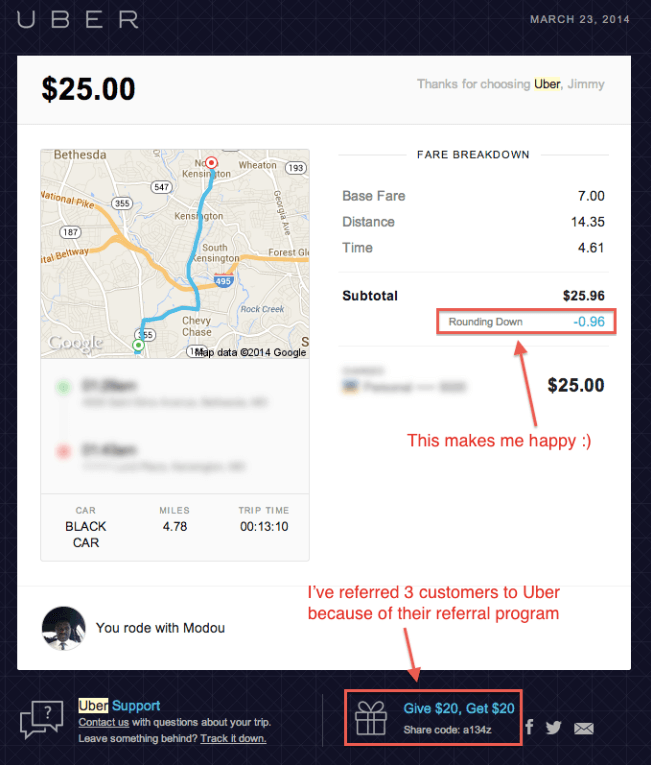 Your transactional emails should improve your customer experience, not make it worse. Use customer data to offer relevant products. Information that adds value to the traveler should be your focus. Upselling and cross-selling should be complementary. Explain the benefits of the upsell and cross-sell products, not the features. Mobile is king for email – most transactional emails will be opened on a mobile device. Plan and test your email mobile user experience. 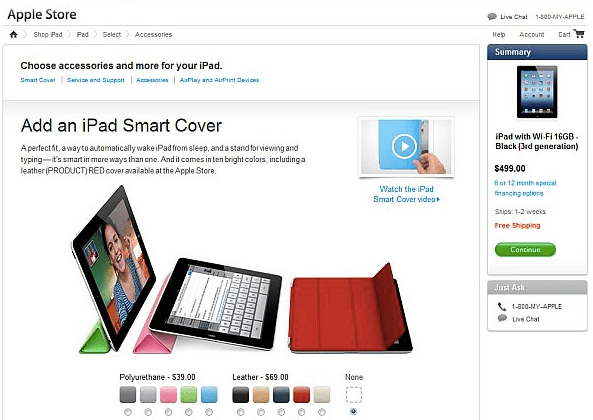 Use direct links to the upselling and cross-selling landing pages. Provide credit card storage and other payment data functionality for your users. The goal is to require minimal effort from your customers. Create a proper tracking system (UTM codes) for all your transactional emails and use systems that provide email analytics. You can use simple tools like Google Campaign URL Builder. Measure key metrics (open rates, click-through rates, conversion rates, unsubscribe rates) to optimize your campaigns. 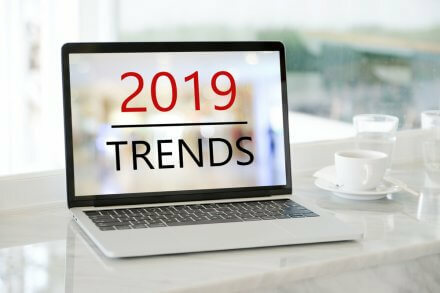 Most travel providers state that their main reasons for providing à la carte and other ancillary products are improving the customer experience and brand differentiation. Obviously, increased customer loyalty is the ultimate goal for you and all other travel marketers, so integrate upselling and cross-selling into your loyalty program mechanisms. Entice users to use loyalty benefits (like miles or hotel points) to try premium product bundles and à la carte items. It will give you a much bigger chance to upsell with the same customer next time if your customer tests the product and recognizes the value. Make it simple to pay for à la carte ancillary products and cross-sells with loyalty points. Integrate payment with miles or points in the booking and post-booking purchase processes. The travel industry is one of the most advanced when it comes to loyalty and cross-selling partnerships. If you look at it through loyalty lenses, Star Alliance is one of the world’s biggest “loyalty” alliances. 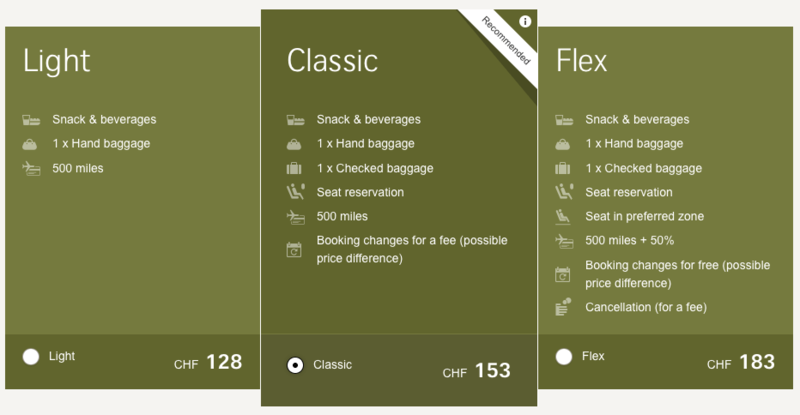 You can see other cross-selling examples with airlines, hotels and car rental partnerships. Branded credit cards are another example of banks, airlines and hotels engaging in cross-selling partnerships. However, in recent years the sharing economy and services like Airbnb and Uber have disrupted the classic cross-selling partnership model, and you should be ready. Think outside the box when it comes to new cross-selling possibilities for you travel business. Always think of what additional products and services are typically purchased before, with and after your products when you’re considering potential cross-selling partnership. Look beyond your typical partners and even beyond the travel industry to other, related industries where cross-selling partnerships would provide value to your customers. Be data-driven and work diligently on your customer data and knowhow. Your customer data is the key to any loyalty program and new partnership. Effective upselling and cross-selling can be the ultimate link for your profitability. It will allow you to be more flexible and competitive with pricing. However, first you need to change your mindset and start thinking like a retailer. Next, understand your customer journey and your key customer touchpoints. Strategically map your customer segments and products to these touchpoints. Integrate loyalty into your upselling and cross-selling strategy and always look for new cross-selling opportunities. Use bundles for upselling at purchase, focus on email and marketing automation with post-purchase upselling and cross-selling, and look for a way to reward the customers that buy more. Finally, apply the conversion rate optimization framework to your upselling and cross-selling to optimize your results.